Working on Tobacco: A Rite of Passage? Shirley Quintero interviewed Carlton Parkinson in 2010. 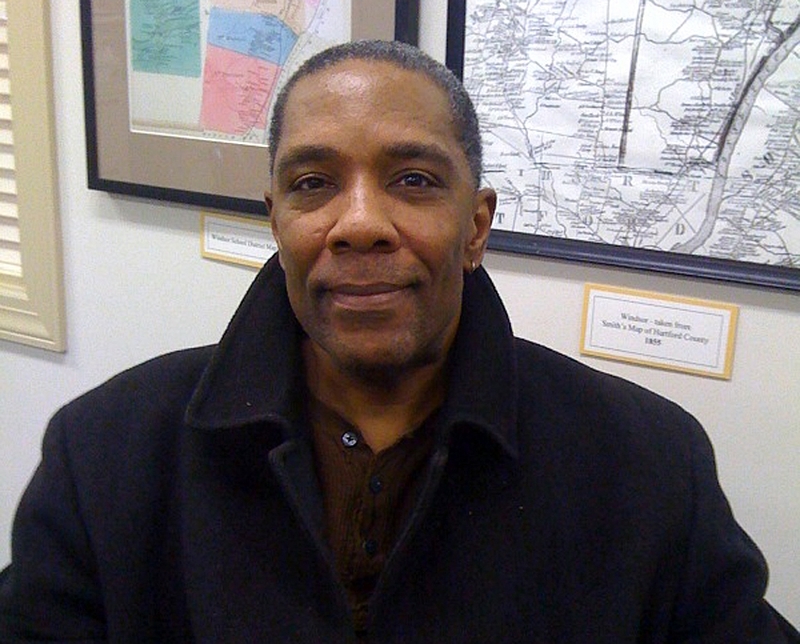 Carl talked about growing up in Hartford and attending a school in West Hartford in the late 1960s; his father, a Jamaican migrant worker, who served as a cook on Windsor tobacco farms in the 20th century; and working in tobacco himself, among other topics. The full audio recording is 38 minutes long and can be heard if you visit the Windsor Historical Society research library, or contact the librarian/archivist Michelle Tom at mtom@windsorhistoricalsociety.org. The transcript for the entire interview is here: full transcript. 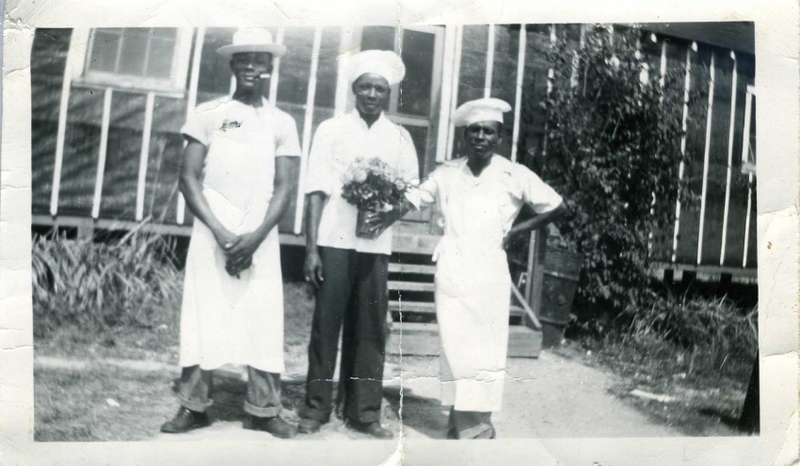 Roy Parkinson (center), father of interviewee Carl Parkinson, in chef’s jacket and hat, along with two other men from the cooking crew at the O.J. Thrall tobacco operation in Windsor. They are visiting a colleague in the tobacco camp infirmary, where Roy’s wife (and Carl’s mother) Mildred Derr Parkinson works as a nurse. Circa mid-to-late 1940s. WHS collections 2012.14.5, gift of Carlton Parkinson.